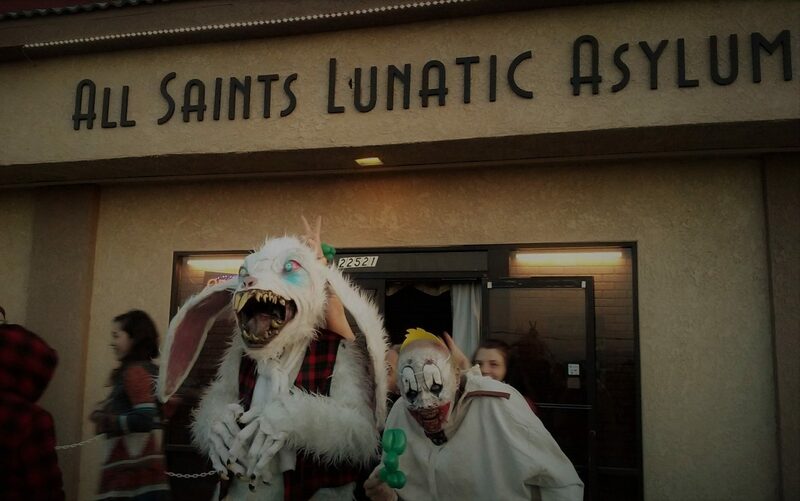 Sinister Pointe Haunted Attraction has been an important innovator in the realm of Halloween haunts for many years, being one of if not the first in Southern California to feature multiple pathways, interactivity, and escape room elements. With rival haunts now ravenously following in their footsteps, Sinister Pointe may feel like "one upon a lonesome road, who walks in fear and dread...because he knows a frightful fiend doth close behind him tread." However, rather than scurry away in fear, the Orange County haunt has upped the ante for Halloween 2016, offering a single maze-like walk-through that splits into four realms, thus subjecting victims to four distinct terror experiences. The result is perhaps more challenging than frightening - a "lost in the fun house" kind of experience, judiciously punctuated with jump-scares but relying more on the novelty and confrontation to energize the experience. Guests can purchase either a single ticket to see one realm or an all-night pass to visit all four: Infernal, Tormentum, Arcane, and Rebus. These demonic realms intersect at various hubs, where lost souls temporarily rejoin the main path before being separated again; consequently, even a single pass through Sinister Pointe will provide a sense of the overall flow and feature several of the same highlights (including Sinister Pointe's patented mirrored hallway gag, which allows a ghoul slide down from the ceiling as if appearing from out of nowhere). Upon entering a medium assigns realm by selecting a tarot card for you. After you are "branded" with the symbol of your realm, a robed figure sends you through the appropriate door, each with its own unique challenge: for example, Tormentum begins with a crawl through barbed wire; Rebus puts you in a room with doors that do not work, forcing you to find a hidden exit. At various points you may be separated from your friends, forced to crawl through dark cubby-holes, or expected to navigate a path through an actual maze with multiple pathways. With your attention focused on finding your way, you are easy prey for surprise appearances by the demonic denizens of the various realms. There is a certain wicked sense of humor in evidence. At one point a character challenges you to find your way through of what turns out to be a network of dead ends; the only solution is to give up and go back the way you originally came in. Our favorite bit - and easily the scariest - involves a very tight, dark labyrinth, with walls so close together that, as you squeeze through, there is no way to avoid the scare you can see waiting before you. The four realms are equally entertaining though varied in tone. You can probably guess the themes from the names: Arcane is strange and surreal; Infernal is more hellish; Tormentum is focused on physical torment, and Rebus is "the Trickster." We recommend going on all four. Your accumulated experience will enable you to find your way more easily through the demented twists and turns, allowing you to focus more on enjoying the scares. The cast is very good and recognizing repeat visitors and offering them a little more special attention - they do enjoy their work! Sinister Pointe 2016 offers a distinctive haunt experience, a bit like four mazes rolled into one, sharing some common areas but also featuring unique characteristics that make all worth visiting. 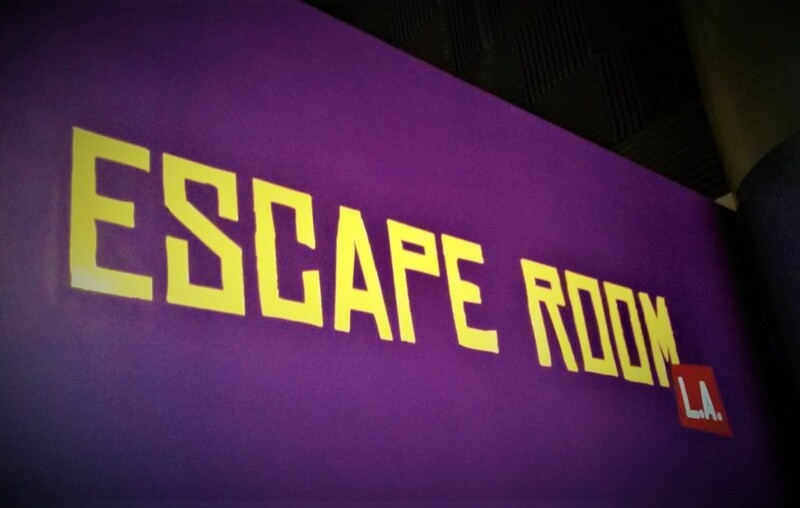 The scare factor is not quite as intense as we would have liked, and we prefer more believable environments, but this offers so much fun that we feel a bit guilty for picking bloody nits. Los Angeles fright fans, hungry for more haunts than our impoverished county provides, should consider making this stop on our recommended Orange Count itinerary. Fullerton, CA 92833. Call 1-714-927-DEAD for more info, or visit: sinisterpointe.com. This innovative variation on a Halloween haunt offers four mazes rolled into one, taking visitors on different journeys depending on the “realm” to which they are assigned. The result is challenging and fun than frightening – but worth the all-night pass in order to take all four pathways.